Nopal Cactus is a plant with two edible portions; the pad or nopal (vegetative part) and the tuna (which is the fruit). It is also known as ‘Prickly Pear’, ‘Opuntia Ficus-Indica’, and ‘Cactus Juice’. Scientists also categorize it as ‘Opuntia Spp’. It is a common name referring to over 200 species of the Opuntia cacti family. It is quite popular in the Mexican-American culture. Since, Mexicans use this plant as a part for their diet due to its low calories, and succulent, green leaves. Though, bear in mind, it is easy to eat young plants only, as the older ones are tough. Nopales are gaining immense popularity in the U.S. too. Scientists believe that they are the healthy type of cacti with medicinal effects. They aid in weight loss, improve digestion, prevent cancer, and boost the immune system. And, this is the tip of an iceberg. Our ancestors have used them for improving skin health and building strong bones. They are also used as an anti-inflammatory cure and natural treatment for diabetes. There is some evidence that Nopales reduce blood sugar levels as well. In the High Beam Encyclopedia, Winston F. Craig, confirmed that they cure diabetes too. History tells us Nopales were popular during the pre-Columbian and The Aztecs periods. These civilizations used them for many other purposes. For example, Aztecs used them for making glue, strengthening mortar, and stiffening clothes. Unlike in America, they are generally sold fresh in Mexico. They clean its spines and slice them according to the customers’ desires on the spot. Though, it is a common ingredient in Mexican cuisine dishes, but one can eat them raw too. You can eat their pads raw or cook them for soups, stews, and salads. They have a tart flavor, like green beans. Nopal is native to Mexico, as it has an economic value to them. There are over three million hectares of land used to cultivate it. Mexicans cultivate Nopales through – commercial plantations, family farms, and in the wild. It provides employment, food and income to thousands of farmers and their communities. According to Reuters, 10,000 farmers cultivate this plant in Mexico. They produce $150 million worth of Nopal each year. But, recently, it has become native to the southwestern regions of the United States too. The locals farm them and export them on a grand scale. One can find them in the regions of Italy, Spain, and South Africa as well. 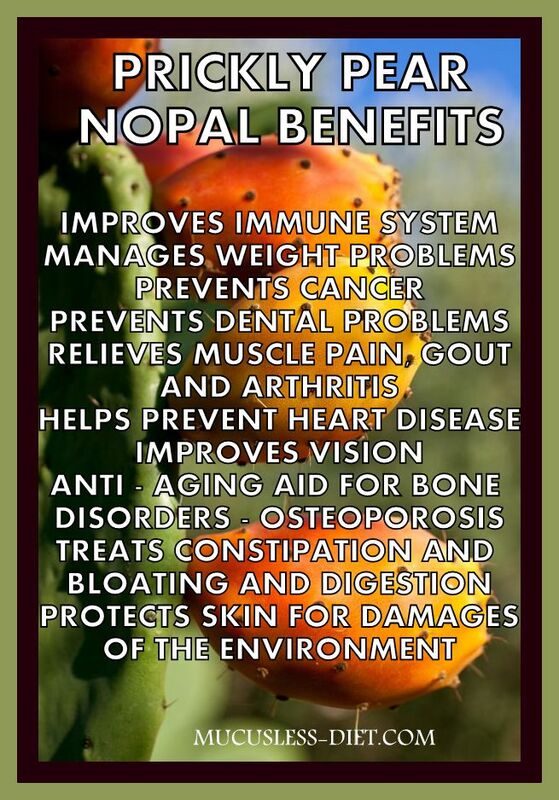 The wealth of health benefits that come from Nopal are priceless. It contains 18 amino acids, 15 potent phytonutrients, 10 minerals, and 8 vitamins. It also contains Betalains, Fiber, and Pectin. Today, we have an extensive list of its nutrients. People have been enjoying them for thousands of years and using them for curing diseases. Are you careful about your diet? Well, this food is one of the healthiest things you can include in your daily diet. The cactus with its name looks intimidating. But, science suggests that we should actually sink our teeth into it. The vitamins and nutrients of Nopal cactus prove that it is worthy of the label – Super Food. It can help ease ailments from high cholesterol to different types of cancers. Don’t believe that? Keep on reading as we are going to reveal a few top-notch health benefits of it. Researchers have unveiled that Nopal Cactus has anti-inflammatory properties. It contains a class of antioxidants, known as ‘Bioflavonoid’, which protects against inflammation. It neutralizes free radicals (unstable molecules in the body). Its juice is a folk medicine. It treats inflammatory conditions like gastritis, asthma, bronchitis, and hepatitis. It also lowers pain in people with urethra and bladder, and bladder infections. Furthermore, the phytosterols from Nopal combat edema and block leukocyte migration. The phytochemicals present in the nopal are powerful allies for the immune system. Moreover, Betalains, which are antioxidants, detoxify the human body. And, this is only one aspect. The complex vitamins like A, B, and C with photochemicals also help in defending a human body. They protect it from any virus or bacterial attack. Researchers believe that when it comes to the photochemicals, Nopal Cactus wins. Since, the amount of photochemicals makes it so desirable and sought after commodity. Its quantity is greater than many other more traditional plant foods. It not only boosts the immune system, but also prevents cancer from developing. Nopal fights cancer cells. It has demonstrated its anti-cancer effects in the medical field. In a 2009 study, researchers evaluated its effects on cancer cells. They extracted cells from breast, prostate, lever, and colon cancer. The phytochemicals, flavonoid compounds, and other antioxidants eliminated free radicals in the body. They eradicated cancer cells before they can even mutate the DNA of healthy cells. Other than that, the content of vitamin A is also connected to a reduction in skin, lung, and oral cancers. Today, modern science has identified Nopal’s ability to cure many ailments. It is life-enhancing and non toxic product. Despite its antagonistic appearance, the values found in this plant are breathtaking. For that reason, it has become a familiar and welcome kitchen guest in the United States. It is available online in capsules, powder, and juice supplements. You can use them in your protein shakes or fast on juice with their powder; there are plenty of ways to use them. You can even have its supplements to get rid of your sweet cravings and control blood sugar levels.